Broadband Light can be used to correct a variety of skin problems. • General improvement in skin quality, texture and health of skin with regular treatments 2-4 times a year – that is Forever Young BBL. 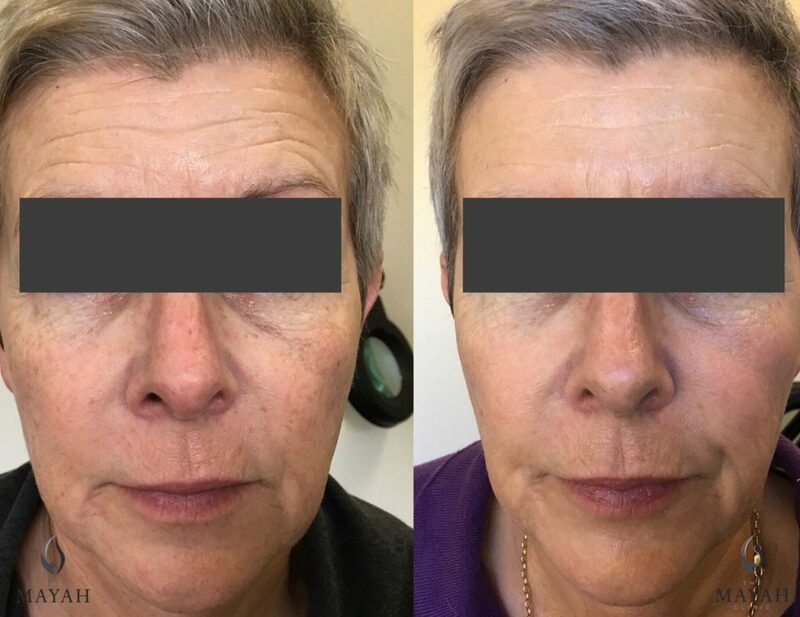 As our skin ages due to excess sun exposure and decreased production of collagen, skin rejuvenation with BBL helps you maintain a fresher, younger appearance. 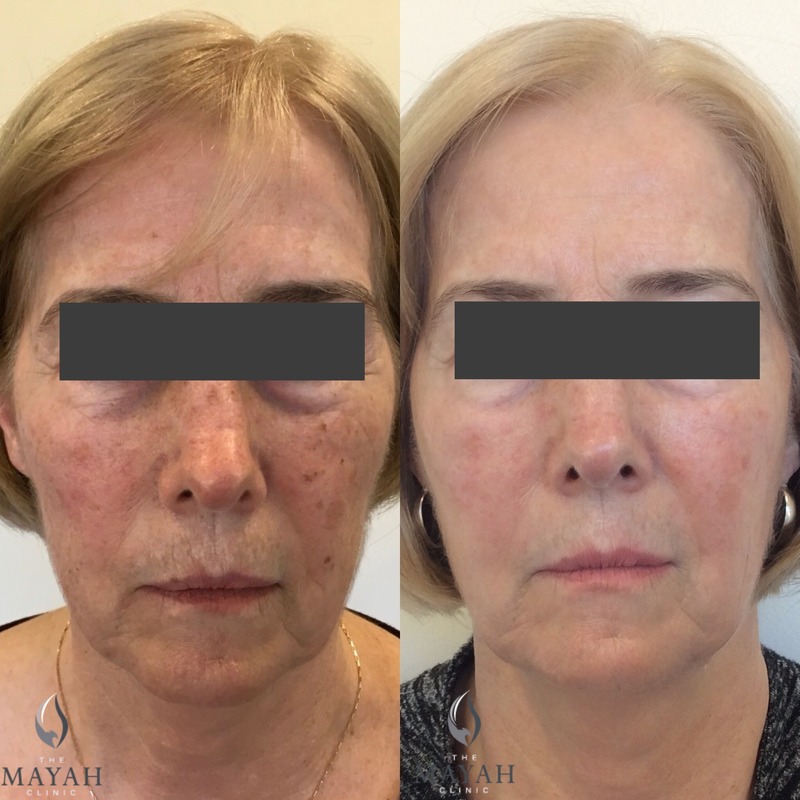 BBL can make your skin smoother by removing age spots and redness, by improving texture and reducing pores. How does Broadband Light work? Haemoglobin in red blood cells which contributes to skin redness and in the unwanted surface blood vessels. Heat travels with the light, and is absorbed by these targets. In this way, hair follicles are shut down so they don’t produce hair any more, pigment is “cooked” and gradually flakes off the surface, and vessels and shut down, reducing redness and visible vessels. BUT – it is this and then so much more. Dr. Patrick Bitter in California developed BBL and has many years of experience with this device. He has run many studies using BBL and reports that he cannot get the same Photo rejuvenation results with an IPL machine. BBL is an advanced extension from IPL devices. 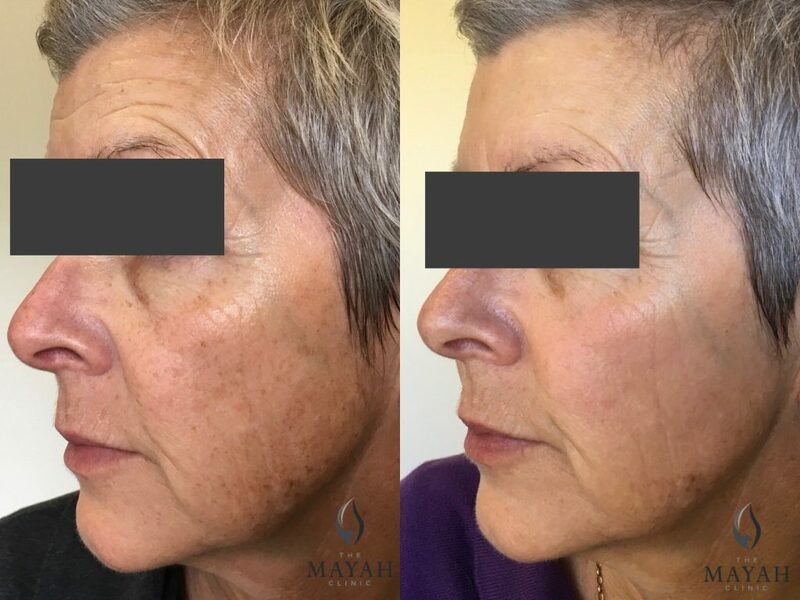 In Photo rejuvenation large studies have shown consistent repeatable improvement over time in sagging, lines, skin smoothness, and skin colour. Further investigations have shown that with regular Broadband Light our DNA actually starts functioning “younger” or healthier. So all the skin issues related to ageing and sun damage are improved with regular BBL. In fact, if you did nothing for your skin except sunscreen and BBL 2-4 times a year, your skin would be better in 5 years than it is today. At the Mayah Clinic we get very excited about our Broadband Light Therapy! In Acne – Broadband Light reduces the P.acnes bacteria that are one of the factors causing acne. It also reduces oil production from the sebaceous glands, and strengthens the skin around pores and glands to reduce pores and blackheads. Tolerance to pain is very individual from person to person. About 50% of our patients would have anaesthetic numbing cream before their treatment, particularly if it is a corrective treatment (that is, there is a lot of target colour to correct- brown spots and redness). Others having their maintenance forever young BBL sessions may be more likely to not bother with the numbing cream. How Many treatments of Broadband Light will I need? Initially this will depend on the individual and the condition being managed. For example, Rosacea, acne, and general redness may need 4-6 sessions at 2-3 week intervals initially. Hair removal may need 4-6 sessions about a month apart. If hair removal is related to a hormonal condition like Polycystic Ovarian Syndrome, hair removal sessions will be approached as a regular maintenance program, every 4-8 weeks. Pigmentation may only need 2-3. Hands, arms and legs will be different again. After corrective sessions, the recommended maintenance will be 2-4 times a year for best results. Is there anything I need to do before my broadband light? You need your skin to be as fair as it can be – so no tanning or UV exposure for a few weeks before hand. Always mention any new topical skin care products you may have started since your last time. If hair removal is involved, you can’t have removed the hairs with plucking, tweezing or waxing for 3 weeks before. You can trim hairs though – as long as there is hair under the skin in the hair follicle. What can I expect after Broadband Light? It can be normal to experience some redness, burning sensation, or even a little swelling after corrective sessions. The more target colour present in the skin, the more heat is retained. You may be a bit patchy as more sun damaged or coloured areas pickup more light. Your clinician may have targeted particular spots also. Hair follicles can be red and swollen for a day or two in some cases. Pigmentation and brown spots will go darker often -particularly on your first ever session. Over a period of 7-14 days on the face, pigmentation will settle and your clearer, healthier skin will be revealed. Other areas of the body can take up to a month to settle and clear. Because there is no broken skin with this treatment there is no makeup free time. Also, there is no wound management required. We will usually advise you to use just a plain gentle moisturiser, cleanser and sunscreen for several days, avoiding active topicals using acids, VitA and VitC. Once you have moved on to maintenance Forever Young BBL sessions, it is easy with no downtime. Just better skin. Are there any side effects with Broadband Light? You need a properly trained professional performing your treatment. It is a powerful machine, so if it not used properly and the right patient selected, it could be possible to burn skin, or mark skin. Hyperpigmentation and hypopigmentation are rare. However, used properly it is a safe effective skin treatment. Can anyone have broadband Light? Treatment parameters will be altered depending on your skin type. Very dark skin types can have some wavelengths of light used, but not all. You will complete a skin typing questionnaire at your appointment, and your clinician will assess your skin as well. Easter means different things to different people. It will be a sad Easter in Paris following the destruction of such a meaningful iconic and historic Cathedral at this time of traditional Christian celebration. It will continue to be a sad time for those in New Zealand who recently lost family in that terrible shooting driven by hate. This Easter take time to dwell on love and peace. May you be surrounded by those you care for and who care for you. And don’t eat too much chocolate! Sugar is bad for your skin! Have you noticed new brown spots on your hands after summer? 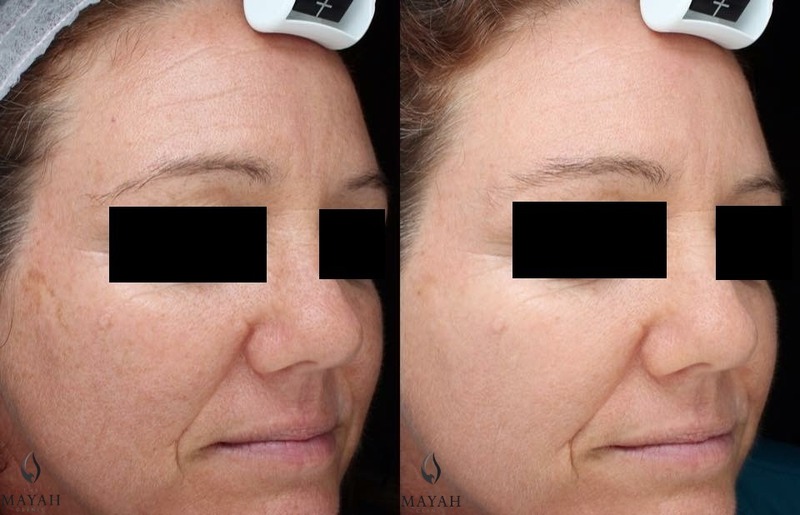 Just a single Broadband Light treatment at the Mayah Clinic is enough to brighten and improve the quality of skin on your hands, as well as removing or fading brown spots. Make it an annual Autumn event. Too easy!